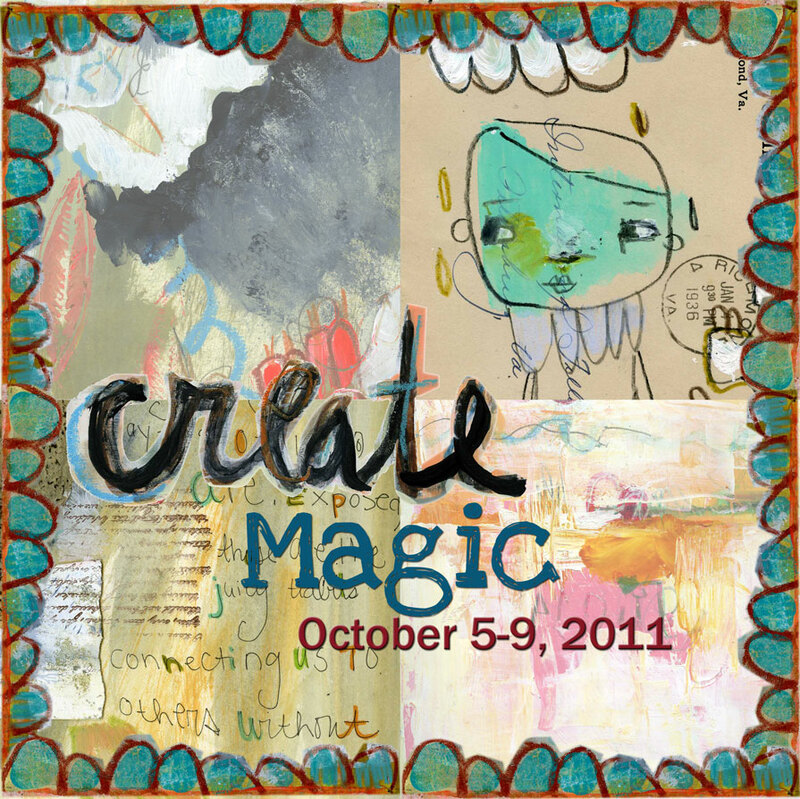 Create Magic - click here to register. we still have a few spots left! My most creative days when I was a kid were those days that it rained. Forts were built, games were made up from scratch and books got filled with color and drawings. Those days allowed me to be creative in whole new realms. We will touch on that nostalgia of creating by working with collage, paint, and words in our journal. It is here that you are free to create without limits....to expose what inspires us most. Are you inspired by poems?......by the full moon?......words from a book.....or certain feelings toward a friend? We will lay it all out while working quickly and without stress. To simply do, rather than think too much. Throw away the plans and paint from the heart! Join us near Puget sound this fall! I remember building forts. Inside and outside. I miss that. Create Magic sounds so magical with you and Liz and Viv!